Children are born with clutter. I get exhausted thinking about how much clutter children are born with: clothes, shoes, diapers, wipes, bottles, toys, stuffed animals, paperwork and on and on. It only gets worse as they grow up and start to participate in activities outside the home (think ballet shoes, softball equipment, Scout projects, homework papers and such). Sure, you can tell your child to clean his room, but chances are he has too much and won’t even know where to start. Why not give a few of these tips a try to help your household recover from clutter? Start by overhauling what your children already have for about an hour a day so you don’t get overwhelmed (toys, stuffed animals, shoes, clothes, books, videos). Separate items into two or three piles or bags: throw away, give away (or sell at a consignment store or in a garage sale) and (if applicable) save for a future child. Then, group like items (e.g., shoes, leotards, sports equipment) so you can quickly figure out what you are missing or have too much of. Notify family and friends that you are trying to reduce clutter. 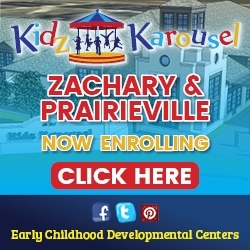 Grandma would probably be thrilled to get the children a membership to the local zoo, while several people could pool money to pay for quite a few of your daughter’s ballet lessons. This is also a great way to teach your children that birthdays and the December holidays are not just about what your child can get out of the whole deal. I am in love with those toy storage units with the 10 brightly colored bins. You can either have your child throw everything in the bins however they like, or try to get them to sort by bin (e.g., trains in the large yellow bin, books in the small blue bin, animals in the small red bin, etc.). Don’t get too crazy about grouping like items. While this method works well for many things (trains, shoes, Barbies), make sure you have a catch-all system, too (see #4). Consider buying a storage ottoman for a main living area. Target carries a nice brown leather storage ottoman with a no-pinch lid for about $80 that hides toys and is also sturdy enough to serve as a seat for two. Children can do a fast pick-up daily or when company is on the way, and then close the lid on the whole mess. Underbed boxes and/or plastic storage tubs are nice for storing things like stuffed animals and out-of-season clothes, depending on the height of your child’s bed frame. Consider using simple copy paper boxes, which are great for throwing miscellaneous toys into and then shoving in a closet. They are not only free, but also fit under many beds so they are hidden. Perform a paper purge. One sample of how well your child colored within the lines at age three is fine, but something even more special would be a hand-drawn picture. This is a tough one for most softies, so ideas for saving space include putting pictures up in the garage instead, taking a photo of a set of pictures, giving away pictures to loved ones. Never search for shoes again. Place a medium-size basket by the door you normally enter and leave the house from for seasonal shoes. Out of-season shoes can be stored in their closet or in a plastic tub in the basement. Take all child-like DVDs and music/computer/video game CDs out of their cases. 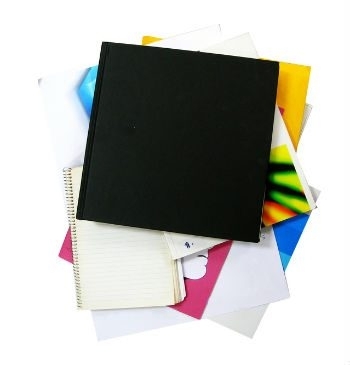 Store them in a short, round case or in a disc album that hold 8 CDs per page in sleeves. Do a purge before holidays and birthdays since it’s a given that more stuff will be arriving. I like to pretend I’m moving in a week and absolutely can’t take everything in my home with me. This prompts me to get rid of more things. Keep it up. To maintain your new found order, have the children pick up daily, either before dinner or before bedtime and teach them that it’s easier to do it as it happens instead of letting it get out of hand (something that took me about 35 years to figure out).